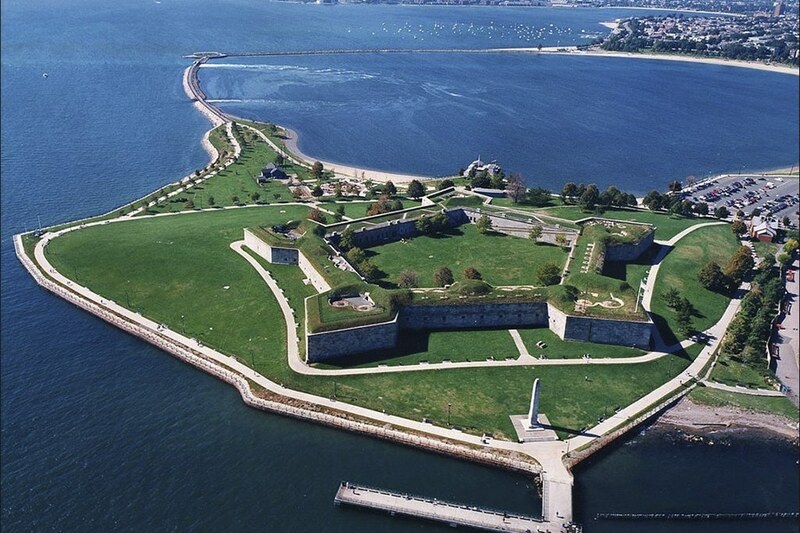 Castle Island in South Boston is one of those places that instantly transports me back to my childhood. I spent many spring, summer and fall days playing whiffle ball, riding my bike and walking around the castle with my grandparents. It’s not a go-to destination for most tourists and you won’t find it in most Boston travel guides. That’s part of what makes it so special. 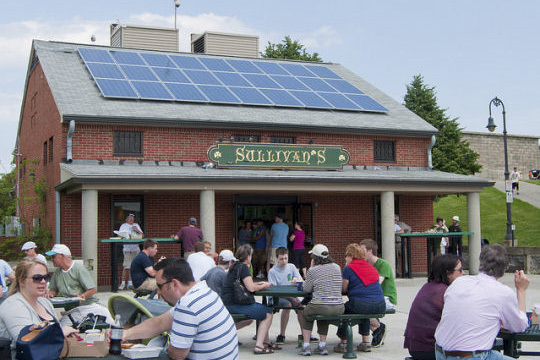 There is no better spot in Boston to enjoy the summer weather. 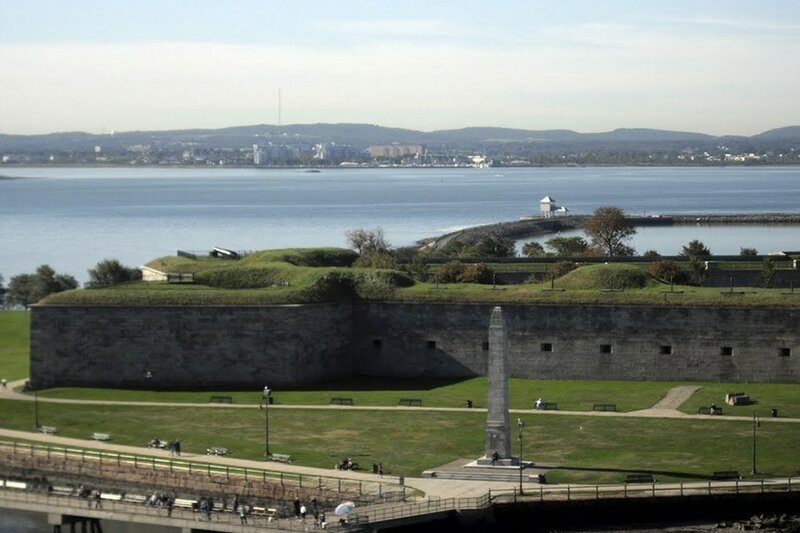 Fort Independence is a fort right at the entrance of Boston Harbor that was built originally in 1634 but rebuilt in 1811 prior to the War of 1812. The ‘castle’ is now a 22 acre state park that includes beaches, a 3-mile causeway along the water, playgrounds, a sailing pavilion and plenty of quiet spots to relax. Pack a lunch (or get a sandwich to-go at Parish café right down the street from the hotel) and grab a 15 minute taxi ride. It’s worth the trip! Or you can take the ‘T’ to JFK/UMass station and then hop on a Hubway bike rental and pedal out along the water. Boston is ranked as having one of the best Bike Sharing Programs in the World, according to the Biking Expert! The park surrounding the castle is great for sunbathing, fishing, a run, a game of Frisbee or a bike ride. The views of the harbor, the Harbor Islands and even the skyline of Boston are incredible. 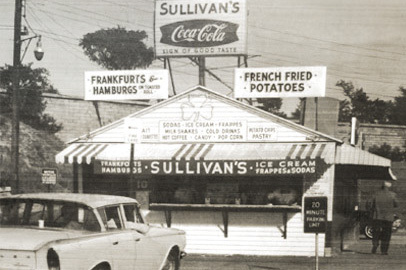 And no trip to Castle Island would be complete without a soft serve from Sullivan’s snack bar (known to locals as ‘Sully’s’). Yes, a cemetery. This is one of the best places in Massachusetts for bird-watching. If birding is not your thing climb to the top of Washington Tower for one of the best panoramic views of Downtown Boston and Cambridge. 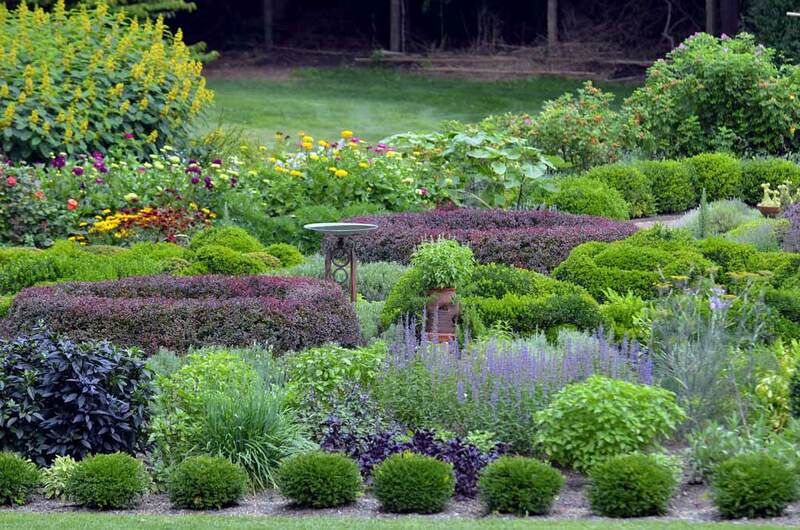 They also have gardens that are incredibly beautiful during the summer months. Mt. 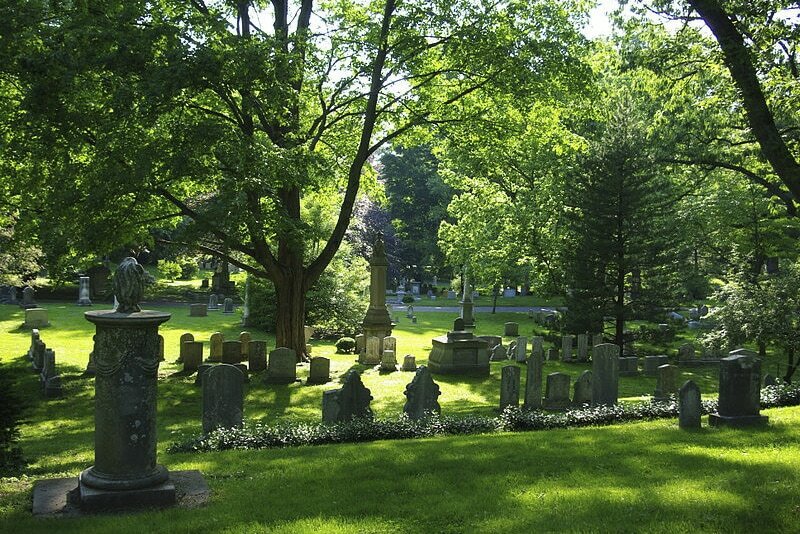 Auburn is a 15 minute walk from Harvard Square T station or a 15 minute taxi from the Lenox. 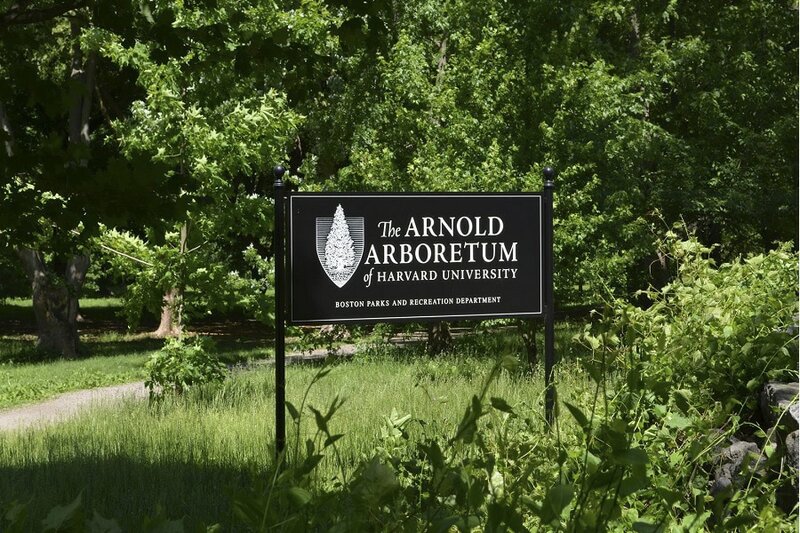 Designed by Frederick Law Olmstead, the Arboretum is 281 acres in Jamaica Plain (a section of Boston) that houses close to 15,000 different types of trees and plants. There are walkways, picnic tables, and ponds. Take a guided tour or just wander!